Find StartupMovies=StartLogo and add ; before it. Vert- by default, use Flawless Widescreen for Hor+ and to fix gun model size. Image is Vert-. 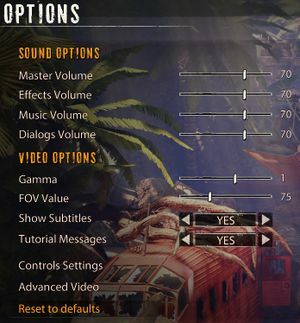 Increase FOV to compensate or use Flawless Widescreen. Adjustable from 65° to 140° horizontal. Default is 75°. The FOV value is set at a 4:3 aspect ratio with Hor+ behavior. To fix gun model size use Flawless Widescreen. Uses a separate launch option from Steam. 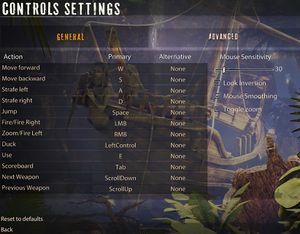 Mouse smoothing toggle in the control settings. 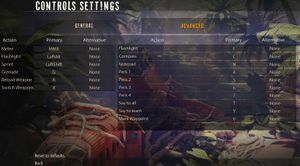 If a controller is attached, will not allow mouse input in menus until controller input is disabled in the control settings. 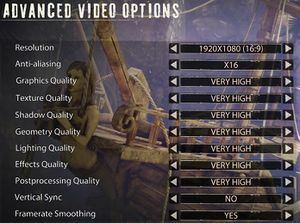 Normal and Southpaw settings only. 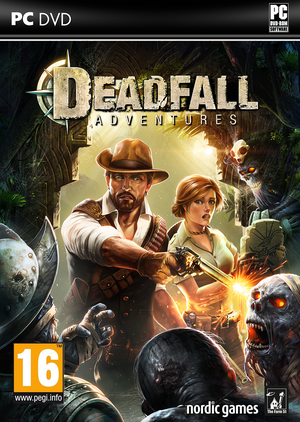 See Helix Mod: Deadfall Adventures. This page was last edited on 31 March 2019, at 09:21.